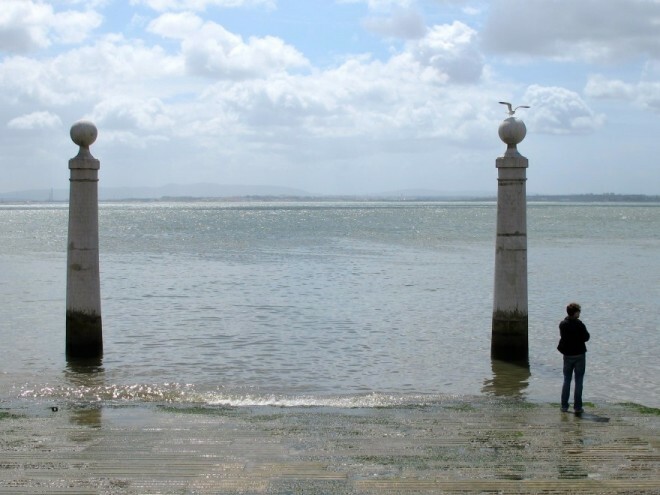 Frank Bruni of the NY Times hit a home run with his May 25 article “How I fell for Lisbon”. Currently an Op-Ed columnist for the paper, Bruni was it’s chief restaurant critic from 2004-2009, so a companion article “4 Lisbon Restaurants Not to Miss” is also a keeper. I visited the city for the first time last month, staying with a French friend who moved there eight years ago. Rather than rush around visiting major sights, we opted for a narrow but deep immersion in his Amalfa neighborhood with a few forays beyond. It was an authentic introduction to a historic, working class neighborhood in the shadow of the city’s ancient castle, but I didn’t feel prepared to do justice to Lisbon in a blog post. One significant oversight in Bruni’s piece is Fado singing – a popular genre with origins in the early 19th century that features bittersweet songs of the sea and working class heartache. It’s Portugal’s answer to country music, covering the repertoire of longing, regret, fatalism and redemption country singers do best. The singer or duet are usually accompanied by 2 guitarists on Classical and Portuguese guitars. The old Alfama neighborhood has several restaurants and bars where singers are non professional and meander from venue to venue throughout the evening, breaking hearts with a few songs before moving on to the next. Also recommend taking a ferry across the Tagus river to Almada, to eat in one of the modest seafood restaurants patronized by locals, where the preparation is simple and the quality of fresh produce unbeatable. You can digest your meal wandering down to the end of the old wharf to admire the iconic Abril Bridge – which really is twin sister to San Francisco’s golden Gate. Like Bruni, I arrived in Lisbon with low expectations, and left wishing I’d planned to stay longer. « Soulac-sur-Mer: triple threat Médoc resort.